Here's an exciting contest by Bloggada #WhattheBlack. I have written an entry post for the contest here. But what is unique is the way they are building up a suspense. 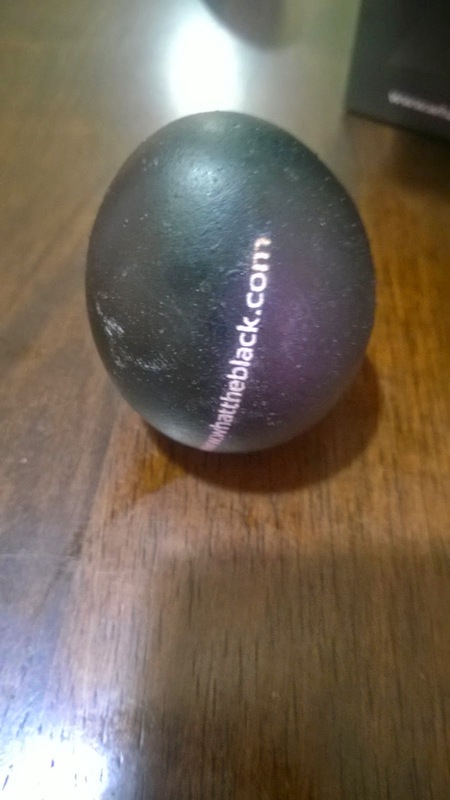 For four days some shortlisted bloggers will receive gifts from www.whattheblack.com. Nobody knows what this is about. Each time the clue will be closer till the final clue on fourth day. Isn't this exciting? Gladly, I am among the lucky ones. And today I got this little cute black packet home delivered on a boring wednesday morning. Though I was at office but I couldn't control my eagerness and asked my husband who had the packet to open it. He sent me these pics of the packet and a blackened egg having chocolate inside. Interesting right? 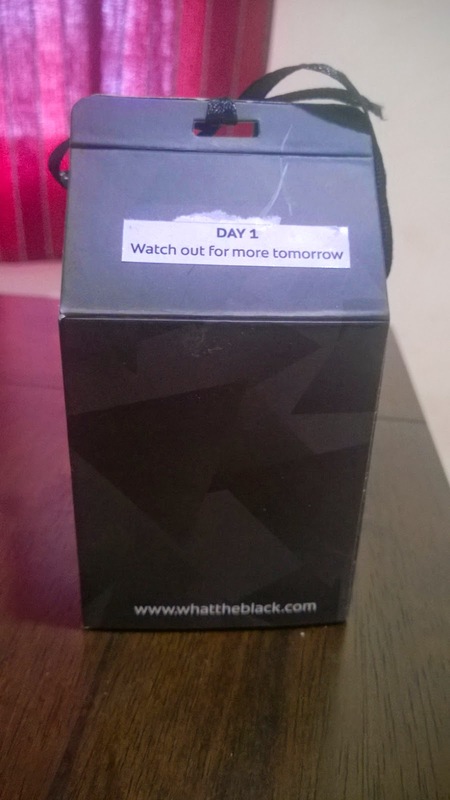 Even I thought so and marveled at the ingenuity of the mysterious marketing team of #WhattheBlack. Will post about each day here. Stay tuned.